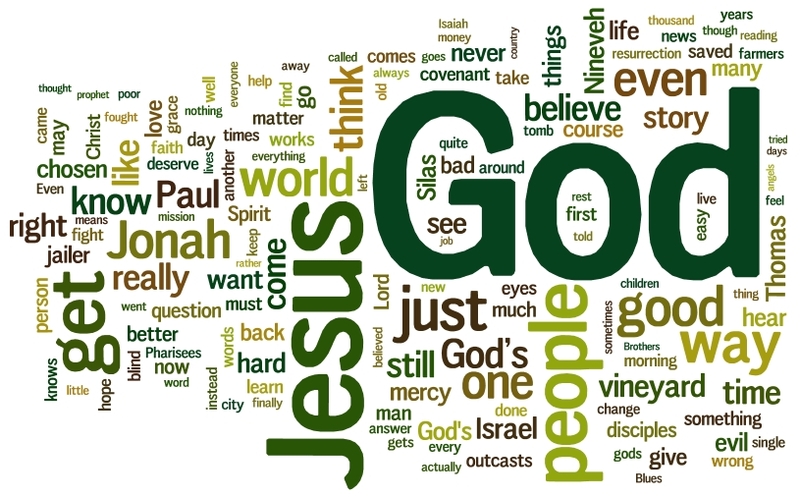 Posted on 20 October 2011 20 October 2011 by Pastor KenPosted in UncategorizedTagged sermons, Wordle. I hadn’t noticed that… but look at how big Jesus is! That counts, right? As a good Lutheran, shouldn’t Grace be more prominent? But I’m a bad Lutheran–I don’t like beer or coffee, I sit in a different seat all the time near the front, and I’m not opposed to change. I guess I just don’t use the word “grace” as often as others. I like to think that my preaching is always grace-filled. And look at it this way, at least Luther isn’t very prominent either.